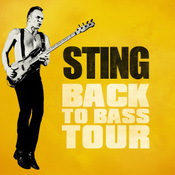 The Back To Bass tour will make two stops in Sweden this summer! Sting will perform at the Liseberg in Gothenberg on Wednesday, July 3, and at the Dalhalla in Rattvik on Thursday, July 4. Fan Club presales for the concert in Rattvik will begin tomorrow, January 29 at 10AM (local time). Tickets will go on sale to the general public beginning Thursday, January 31 at 10AM (local time). 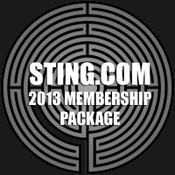 For the concert in Gothenberg, there will be no advance ticket sales for either the Sting.com fan club or the general public. Tickets will be available for sale at the venue solely on the day of the concert and are priced at 90 SEK.